Today we had all kinds of New Years Eve fun =) Papa came over for lunch and fixed Serenity’s steering wheel to her outdoor playset. It was still pretty so we played for awhile. It was 70 yesterday and is supposed to be 17 by tonight so we have to enjoy it while it lasts =) I made strawberry shortcake with strawberry whipped cream =) I was in the mood for it, but even Eric loved it so much he had seconds! 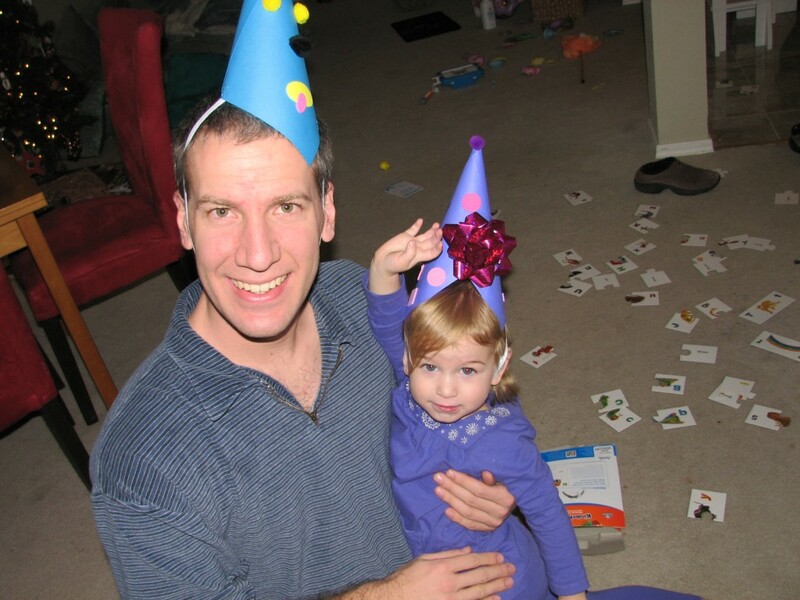 After Eric got home and Serenity woke up from her nap in the secret room, we made New Years Eve party hats! They are very cute. 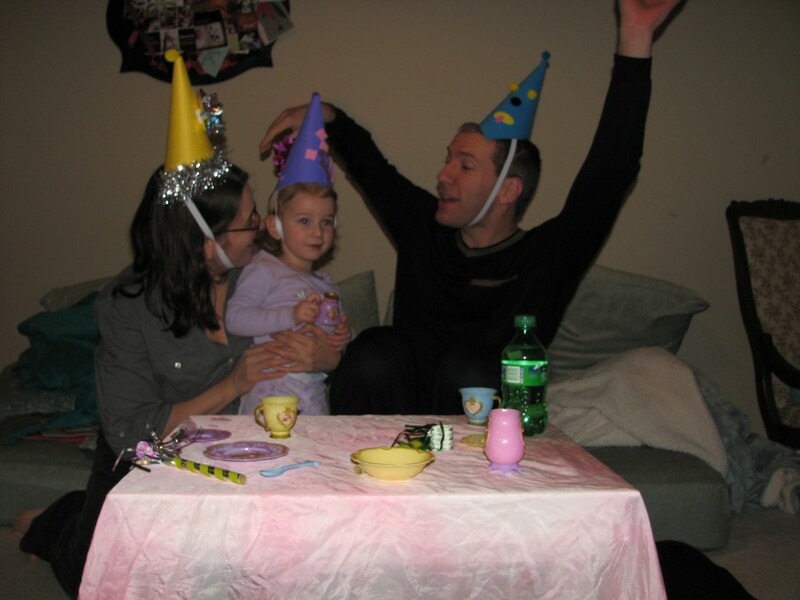 Serenity insisted that we all have pom pom tops that match our hats. =) We had our dinner on a picnic blanket in the living room, and plan to have party poppers, “champagne” (Sprite) and a countdown for New Years Eve Buenos Aires style! Serenity has already had her bath, and while we were snuggling with her wrapped in a towel, I said I was a lucky Mama, and she said she was a “lucky lucky baby.” =) My life is so sweet. Carson and Raegan came over to play today! They have so much fun together. =) They run around, giggle, and make up their own games. We spent most of the day outside as it was lovely, bare feet weather. 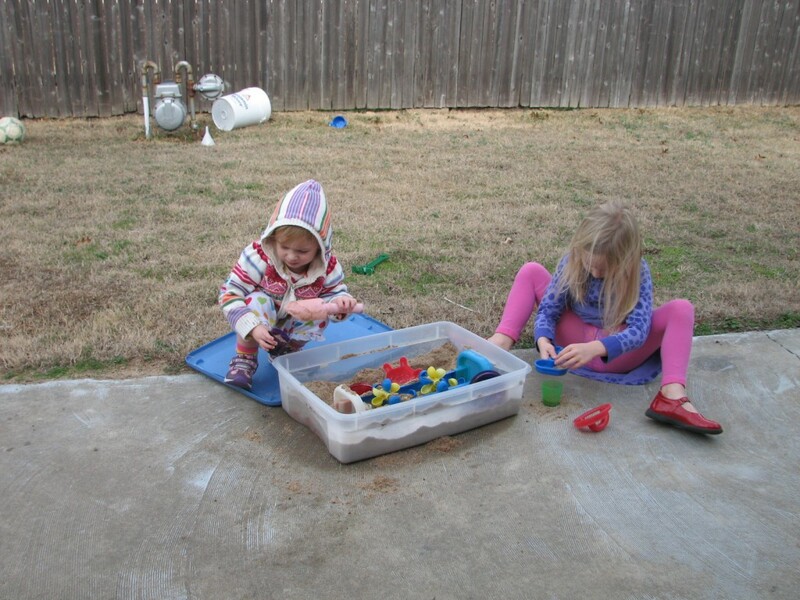 They played on the swingset, with the sandbox, and with some new sidewalk chalk while I brought in the last of the hoses and watering supplies, as Friday is supposed to be super cold! 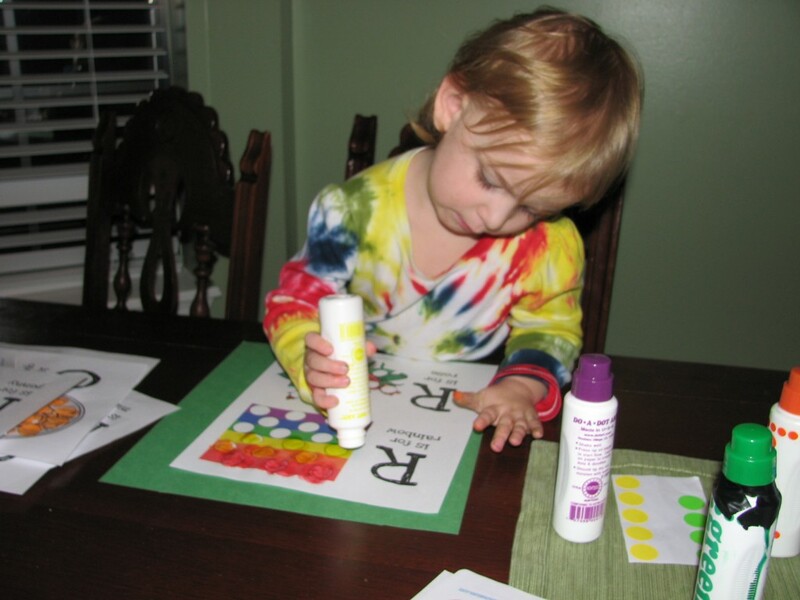 After they left I downloaded the rest of the alphabet Do-A-Dot sheets. Serenity spent hours decorating them! 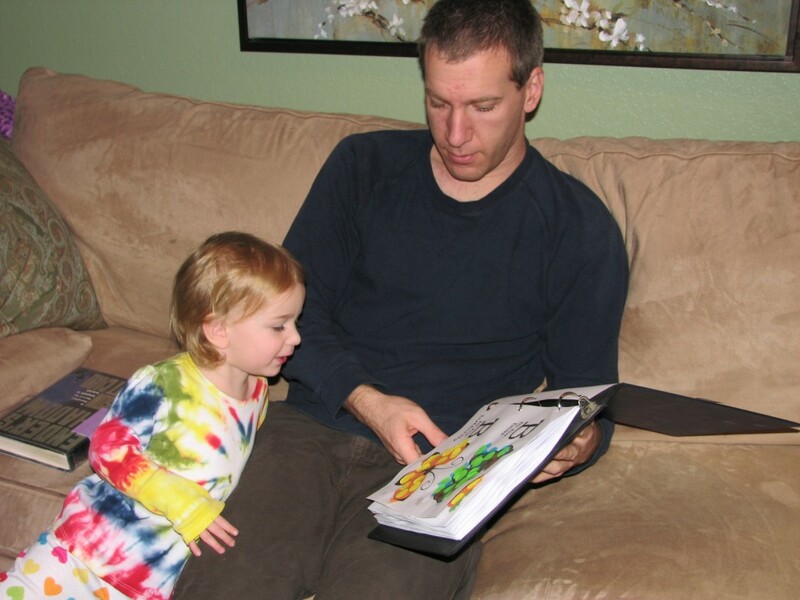 And when we were done I hole-punched them and put them in a book which she proudly read to Daddy. 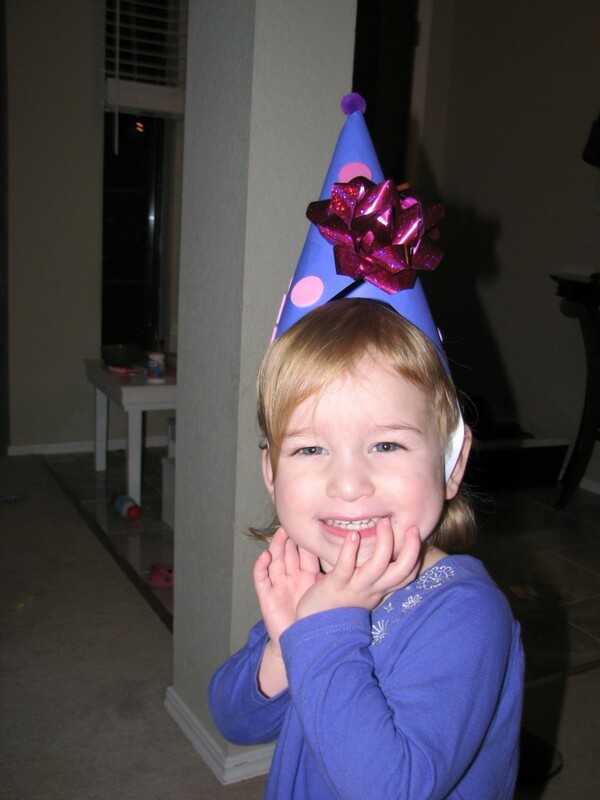 Posted in Uncategorized | Comments Off on December 30th: Play Date! Today was a wonderful day! 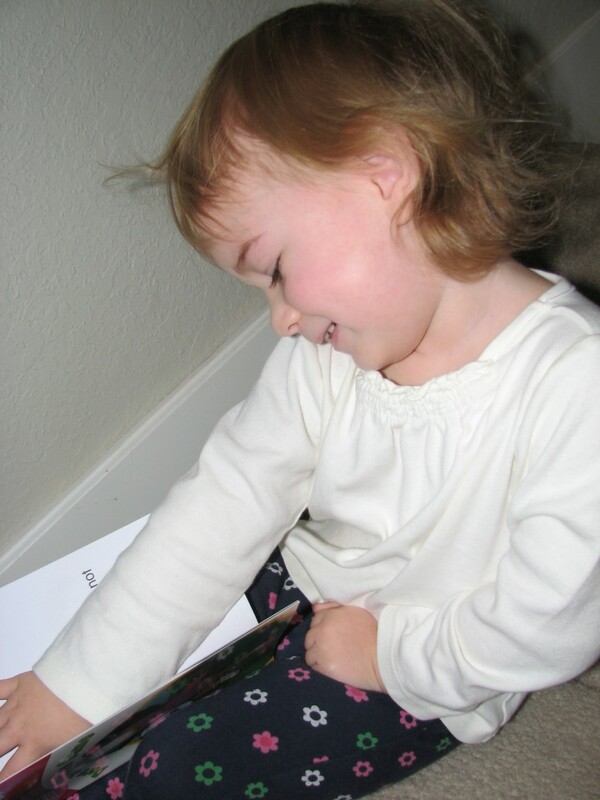 It began with Serenity finding her Dora Phonics books as we went downstairs for breakfast. 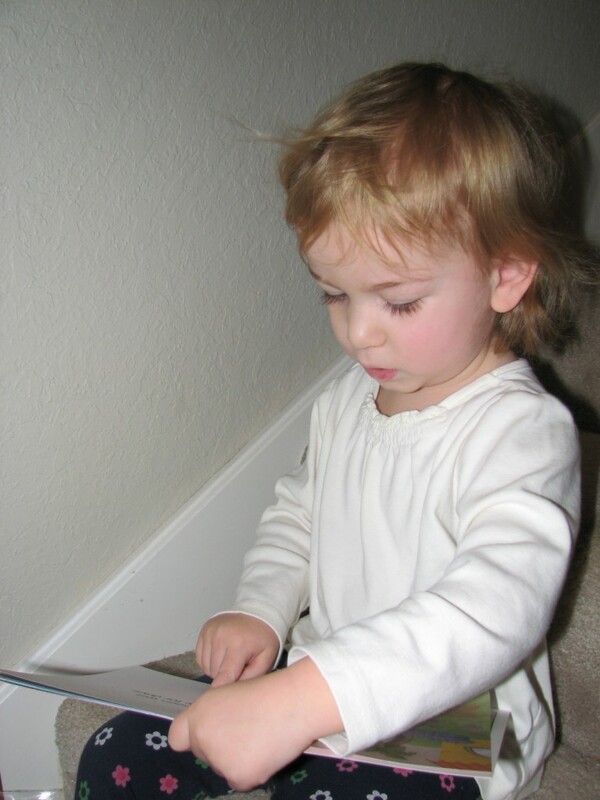 We stopped right there on the stairs and read them together! Ten or twelve little books. 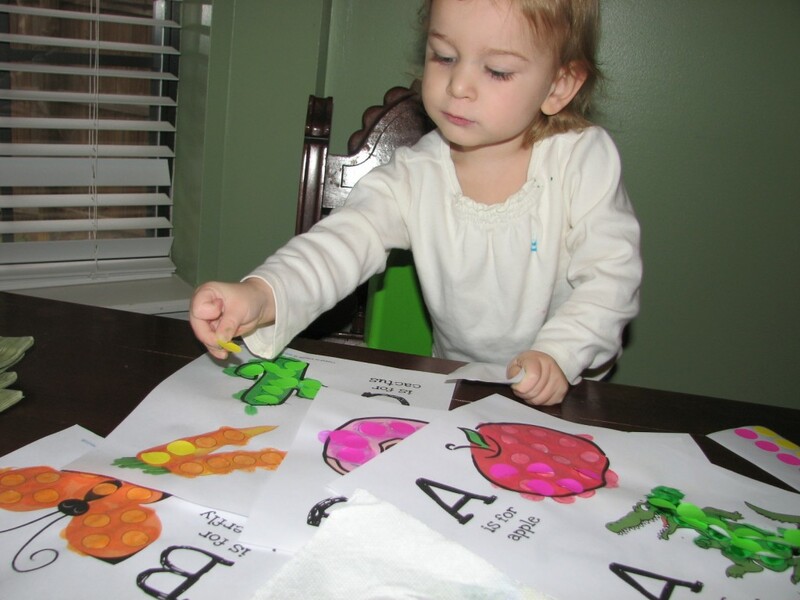 I used to point out words for her to read to me, and now she can do whole sentences! In these, she did a few entire pages! Three or four sentences maybe to a page, and just amazing! She read easily several words I didn’t have any idea that she knew, like missed. That’s a long word! We ran some errands together, and then while she was “napping” (really playing in her secret room) I got the house cleaned and organized yet again, and finished the mountain of laundry. Plus I cleaned out my car and vacuumed. I’m so sore! I’m way out of shape, I need to find some kind of exercise I can do to stretch out my muscles some. Maybe yoga. Anybody know a good pre-natal yoga class or dvd?